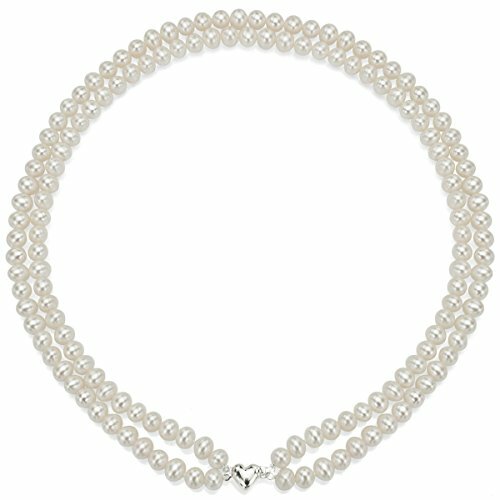 This is an Elegant Heart Shape Sterling Silver 2-rows 6-6.5mm White Freshwater Cultured High Luster Pearl Necklace 17" Length. Great Gift for Love Ones. Please Contact Us if You Do Not See What You Need.